Contact us for a Special Event! FREE Outreach Performances: Union Square-SF, Downtown Ice-San Jose, Walnut Creek, CA. 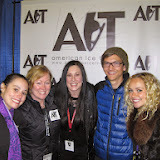 Program to support non-profits including American Ice Theatre!